Gallatin National Forest, with its snow-capped mountains and popular trout streams, is the perfect vacation destination for those who want to get out there and experience Montana’s Northern Rockies. We feature CanAm Outlander & Commander XT ATV rentals and Ski-Doo sleds for winter fun in and around Yellowstone. Click for availability, rates and options. When visiting Gallatin National Forest you have the best of all worlds, with almost 2 million acres of forests in southwestern Montana, right next to Yellowstone National Park and surrounded by other scenic wilderness areas. Gallatin National Forest is situated in south-central Montana. You can get there by taking I-90 South to US 89 from Livingston, Montana, or taking US 191 South from Bozeman to West Yellowstone. Gallatin National Forest is accessible year-round. With more than 2,600 miles of hiking and riding trails, you’ll find miles of paths suitable for your experience level. Get into the wilderness areas and even find interlinking trails into Yellowstone. You’ll discover nearly 40 campgrounds accessible by vehicle, and many picnic areas throughout the forest. The unique and scenic surroundings make for a great experience. 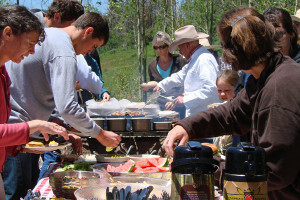 Some of the campgrounds, like Colter and Eagle Creek, are located near Yellowstone Park. Fly-fishing in remote streams or lakes offers some excellent adventures. There are more than 1,700 miles of fishable rivers and streams. Prefer only “Blue Ribbon” trout streams? The Madison, Gallatin and Yellowstone Rivers have their headwaters in Gallatin National Forest. These locations are also great for rafting, canoeing and kayaking. Spot some wildlife in your excursion through the forest. 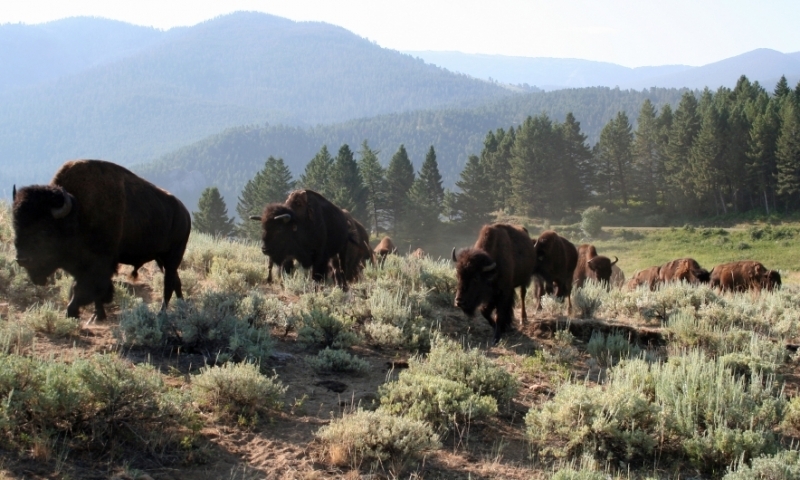 You may see bison, elk, moose, mule deer and antelope. 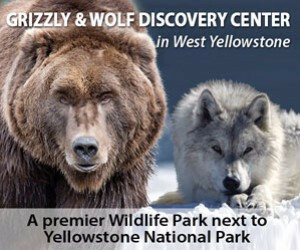 There are also bighorn sheep, mountain lions, grizzlies and black bears around so keep your eye peeled. A gray wolf or a Canada lynx could also be around the next bend. The favorite drive around Gallatin National Forest is the Beartooth Scenic Byway. Travel through lush forest onto the alpine tundra. This three-hour drive provides breathtaking views of alpine lakes, glaciers and of course, the snow-covered peaks. In winter, snowmobiles can make this journey. A real opportunity to climb on some amazing frozen waterfalls is available in Hyalite Canyon, south of Bozeman. This location is internationally recognized and if you are a climber, you must put this on your itinerary. With three ski areas to choose from, you can’t go wrong. Pick Bridger Ski Area, Lone Mountain Ranch, Bohart Ranch, or try all three. Bohart Ranch and Lone Mountain Ranch have groomed cross-country trails for some wonderful adventures in the snow. Anytime between 1 December and 31 March is the time to take to the snowmobile trails in the West Yellowstone area. You can take flat trails or engage in some mountain climbing trails. Gallatin National Forest is best enjoyed riding through the wilderness in the cold winter snow. Mountain ranges in and around Yellowstone National Park. The Gallatin Mountains form the northwest corner of Yellowstone Park.